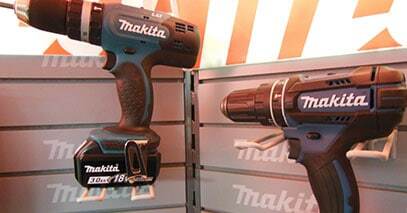 Makita power tools stocked in store. The Lithium Ion range is one of the best on the market which is why we keep it as our preferred product. Thanks to the great relationship we have with Makita we can offer great rates on all their products. 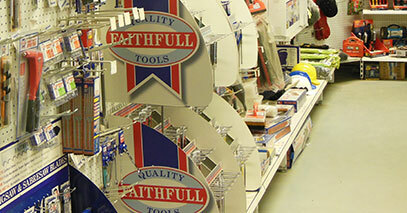 Faithfull Tools in stock and also available to order on a next day delivery into our store, with no extra charge from the toolbank website. 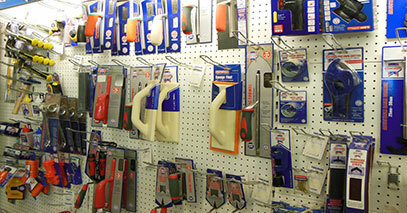 Other tools we keep such as Belle Mixers, Haemmerlin wheelbarrows, Ox hand tools, Spear & Jackson and many more.